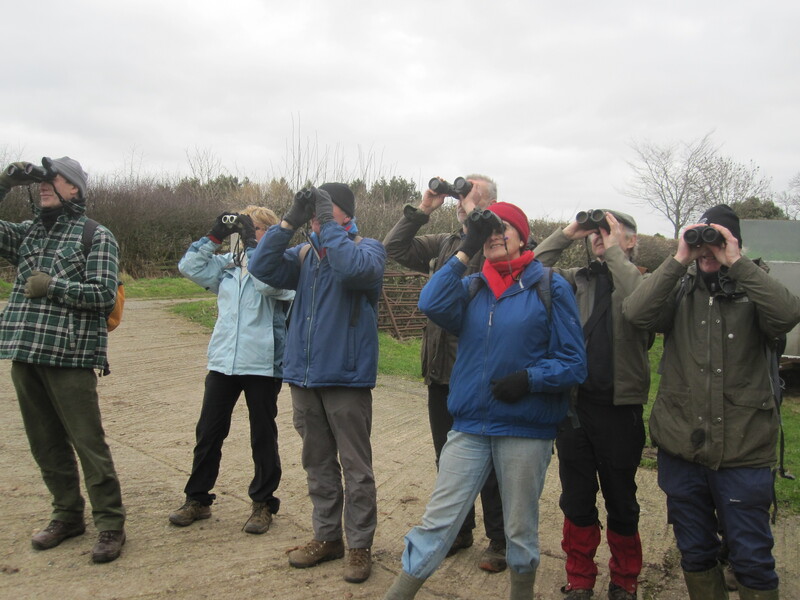 Last Sunday we held this year’s winter bird survey. The weather was a mild 10°C but very blustery which kept the birds sheltered out of the way. The total on the day was 40 species; far short of one year’s impressive 55 species. Nothing of special note was seen. Tree Creepers and Bullfinches can be relied upon in the Marsh, in the old cricket field we had good views of a lovely group of colourful Yellow Hammers and it was unusual to hear a Tawny Owl calling in the middle of the day! The poor state of hedgerows for wildlife was noticeable, as was the lack of farmland birds; perhaps because of the windy conditions. Birdsong was heard again as we re-entered village showing that it is still necessary to continue to feed our garden birds at this time of year as there is little food for them in the countryside. The new hedge in the Elliker Field is well underway. 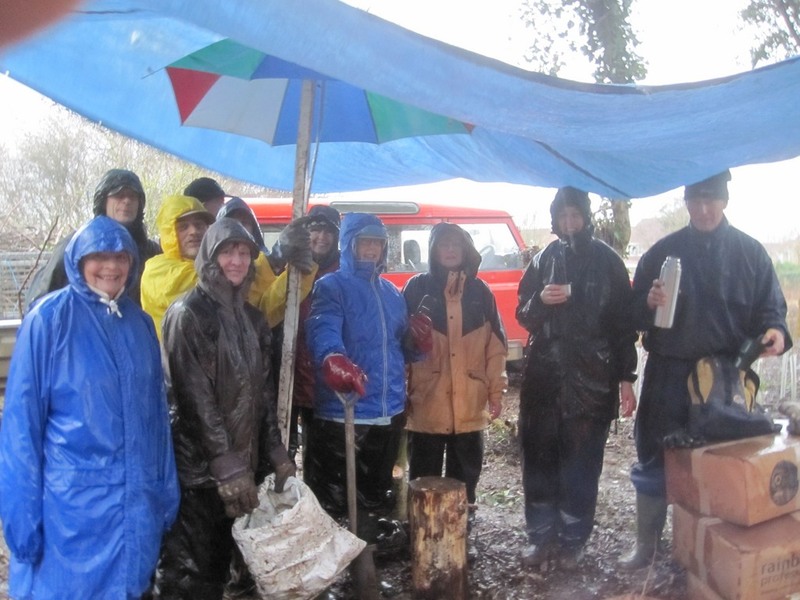 Many thanks to those who helped in the rain on the 26th Jan.
Planning the work. 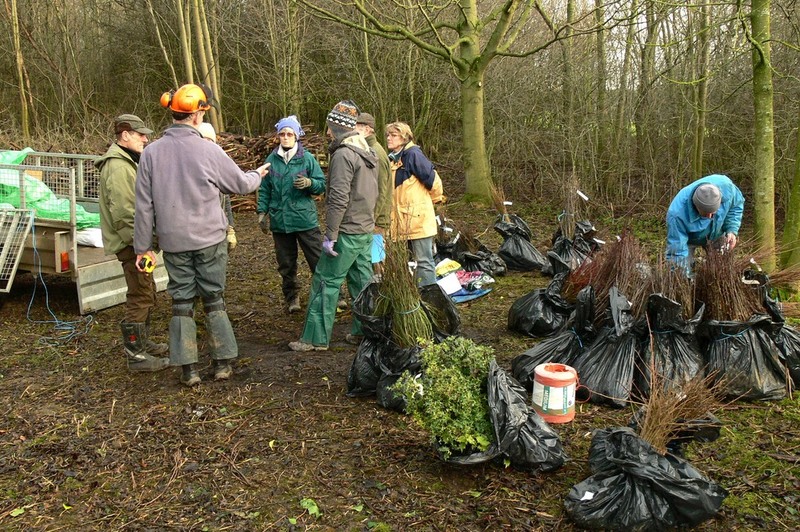 all the saplings are bagged into separate species and ready for dividing into lots for planting. 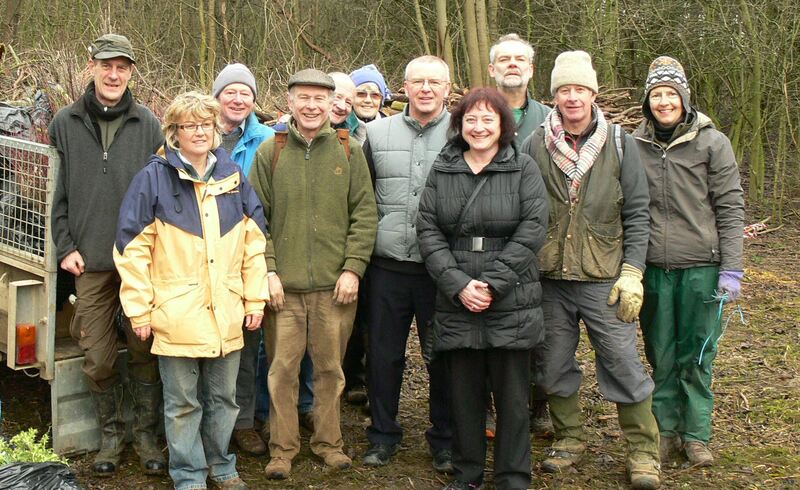 Sue and David from Green Leeds (who funded the hedging project) visitind the Friday Work Party volunteers to see how the project was progressing. 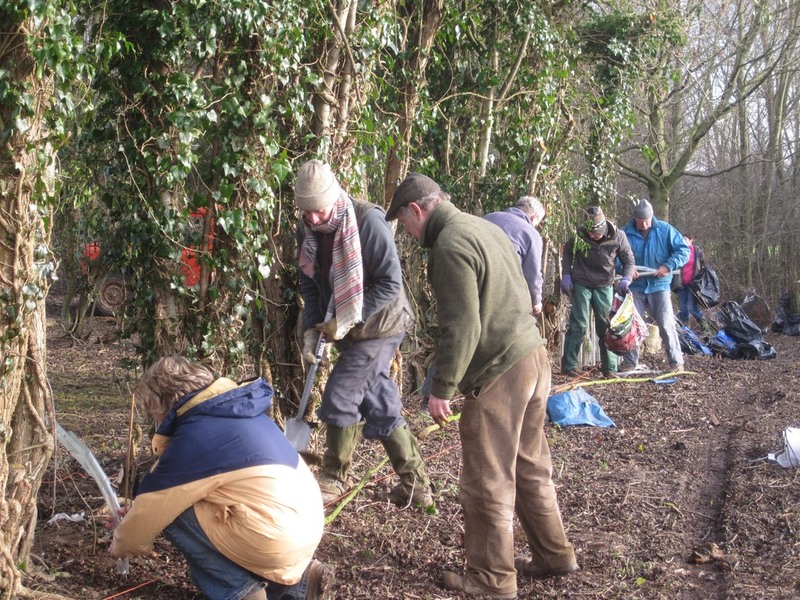 It’s all hands to the deck for the Friday workparty…. dig the hole, plant the tree, insert the cane and fit the spiral guard. The weather was not so kind two days later during the Winter Work Party on Sunday 26th January. A series of four marathon Friday work days saw the completion of the new hedge along the southern and western boundaries of Ox Close Wood. 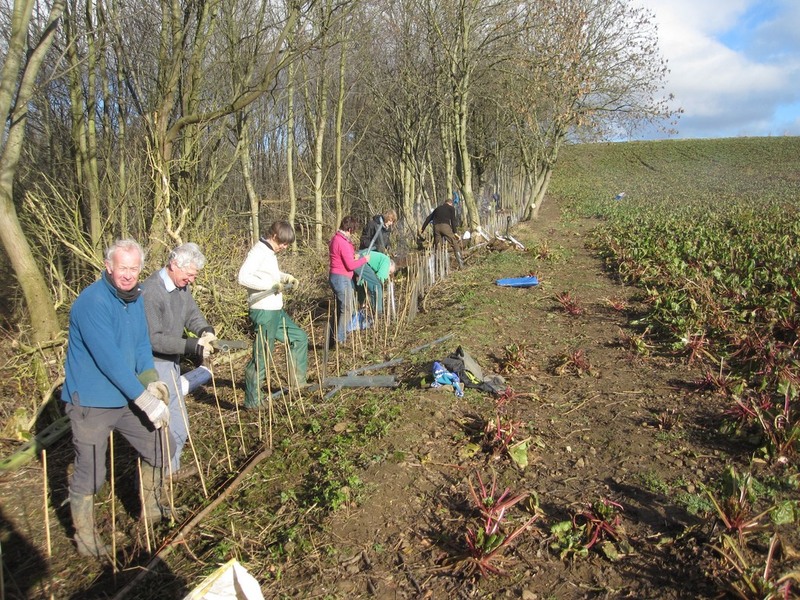 Funded by Green Leeds, The Trust has completed planting over 3,000 saplings to create this new mixed species hedgerow. 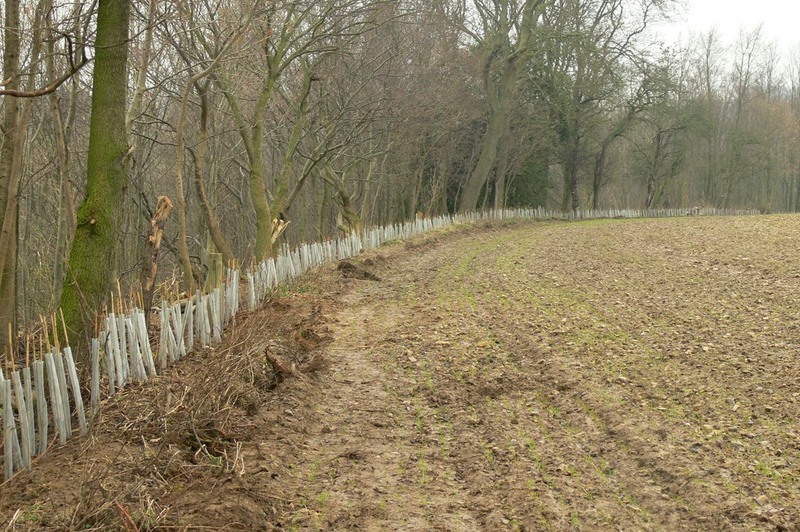 It is intended to provide protection from spray drift from the intensively farmed fields that surround the wood and to create a new wildlife corridor and important habitat.